Have you been working all day long in the office? Spending your weekday nights and weekends living vicariously through drama series? Feel like you are wasting your life away? Time to get a life. A while back, I was invited on Kiss 92 to do a four-week series on work-life balance. Work-life balance is getting much attention locally as many Singaporeans are having serious problems achieving it, and I believe it’s the case in other modernized societies as well. 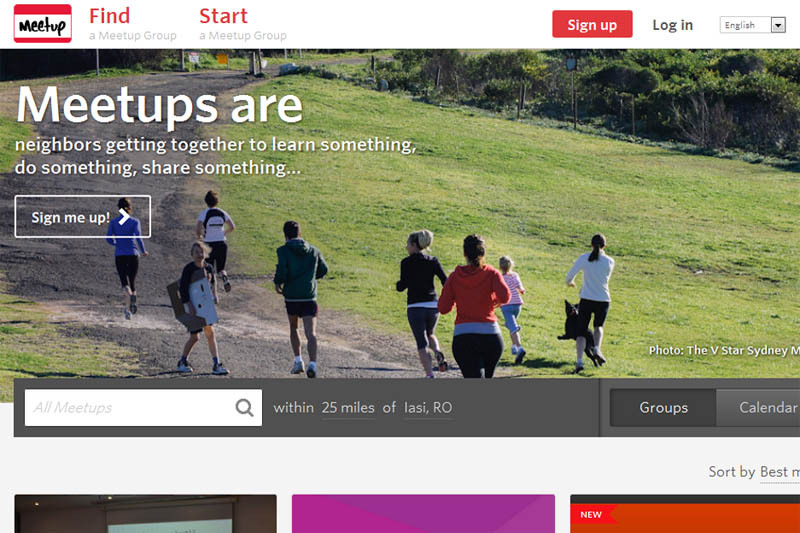 Meetup.com is an awesome site to find meetup groups no matter where you are from. They have groups from hiking, to writing, to photography, to entrepreneurship, to parenting, to expat meetups, to zumba, to singles dating, to frisbee, to tarot and more. 99.9% of the meetups are free to join; occasionally there are one or two that requires a $5 to $10 entry fee to cover the event charge. It’s impossible not to find a group that falls in your area of interest, but in the event that happens, you can create your own group at a an affordable cost which can be shared among the members who joined thereafter. Meetup was how I found my first vegetarian friends actually. When I adopted a vegetarian diet in 2008, I wanted to make new vegetarian friends, so I joined a Singapore vegetarian meet-up group. I became connected with a whole group of vegetarians, along with people who are not vegetarians but enjoy the vegetarian way of life. I don’t go to the meetup anymore, but the meetup served its purpose as it connected me to other vegetarians at a time when I was looking for support in this habit. As H. Jackson Brown, Jr. said before, “Remember that the happiest people are not those getting more, but those giving more.” Volunteering is a great way to bring happiness to others with the opportunity to meet other like-minded, kind people in the process. In fact, it was one of the acts of kindness in the 14-Day Kindness Challenge conducted in November last year! As I mentioned during the challenge, volunteering doesn’t have to be some grandiose act. As long as you are offering something pro bono (be it in terms of skills, knowledge, time, effort, or money) to a community/organization, you are in fact volunteering. The funnest way to volunteer would be to volunteer in an area that intersects with your interests. For example, an animal shelter if you like animals, a retirement home if you enjoy being with old people, schools if you like kids, and so on. Global Volunteer Network connects international volunteers with communities in need, with a particular focus on vulnerable women and children. They have connections with communities internationally, from Africa, to Cambodia, to Nepal, to Vietnam, to Ecuador, to Peru, and more. If you are in U.S., VolunteerMatch.org is a portal where you can find volunteering opportunities ranging from the environment, to education and literacy, to animal care, to children and youths, and to seniors. For those in Singapore, there’s SG Cares, an equivalent of Volunteer Match which lists local volunteering opportunities. Is there any skill you have been meaning to learn? Why not pick it up now through learning forums like workshops, seminars, talks, and conferences? 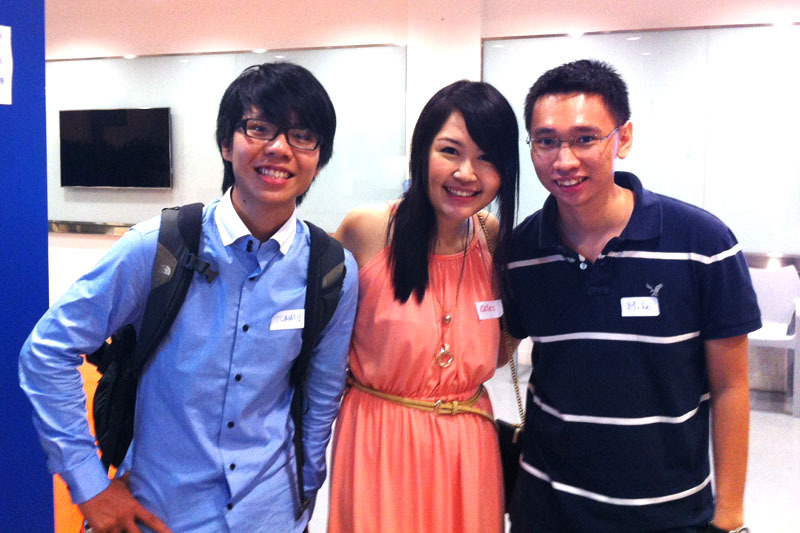 They are awesome avenues to meet new people who are more proactive, driven, and growth-oriented (like you)! There are so many trainers giving workshops all around the world today on different topics. A simple search for ” ‘the skill you want to learn’ + workshops” will point you in the right direction. Conferences are also worth checking out, though they are usually held once a year and are less common than workshops and seminars. 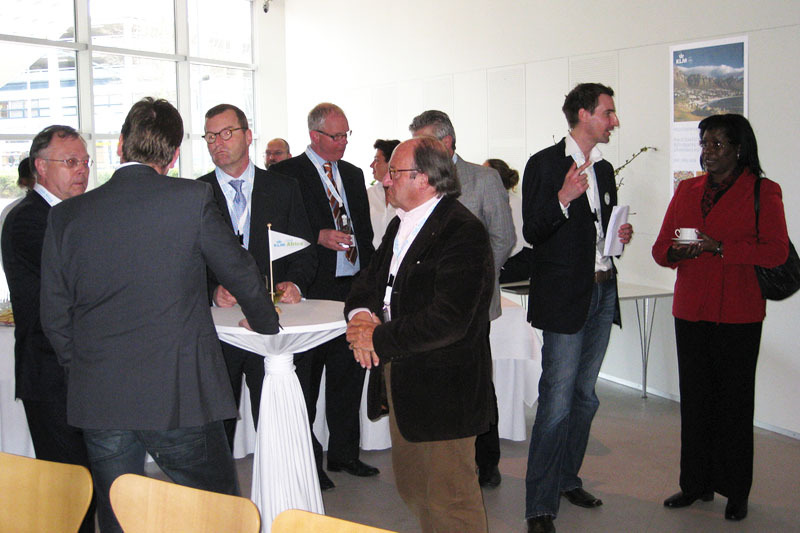 They tend to have an array of speakers and draw a varied crowd, with great networking sessions after the main events. Famous conferences would be TED and I Can Do It! which have local versions all around the world. Click on the links for more details. Do you have hobbies which you’ve always wanted to pursue but put off in the back burner? Any sports you want to pick up but haven’t? How about killing the procrastination bug and signing up for classes or courses on them? Many classes only take one to two hours a week spanning two to three months, which is very manageable actually. One of my friends in the legal profession had very poor-work life balance and she was constantly stressed out and unhappy. Tired of all the time she had been spending at work, she signed up for a drumming class, which was once a week, and yoga, which she went anywhere from one to three times every week. Doing so helped her to live a life outside of work, and made her much happier as a result. A regular class on something you enjoy, whether it’s arts and craft, sports, literary, or a new language, can make a great difference in a busy work life. It prevents you from being coped up at work every week and keeps you anchored on your personal interests while pursuing your professional goals at the same time. Instead of meeting new friends one at a time, social parties or events can let you can meet 20 to 30 people at one go, making it more fun and exciting. How can one know of such parties or events? One way is to search the internet. Usually there are parties like this everywhere, especially during popular festivals like Thanksgiving, Christmas and New Year’s Eve. I even saw an event listing on TheList.sg for St. Patrick’s Day last week, and people don’t even celebrate the event here in Singapore. Another way is to ask around. Have you heard of the concept, “six degrees of separation“? It means everyone is separated from another person by at maximum of six steps, by way of introduction. With the internet today, it has probably been reduced to three or four degrees. This means that you probably already know of people or people with friends who attend such parties and events, just that you don’t know about it. Connect with the more social people in your network and ask them to invite you to future events they go to. My favorite type of parties is house parties, which are parties conducted in someone’s private space, usually his/her home. In United States, London, and Europe, house parties are very common and pretty much the way people meet new people. 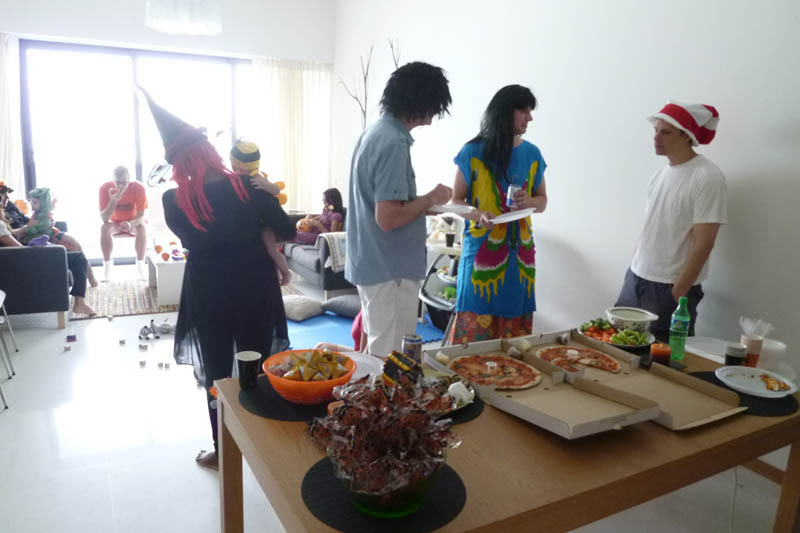 Even in Asia, people have house parties too, just not as commonplace (probably more adept to call them house “gatherings” than “parties” per se). I’ve been in many house parties while I was in U.S. and Europe and it was how I progressed from not having any friends there to being part of multiple social networks. At the parties, you want to mingle and get to know new people, not recede into a corner. Some attendees may know of upcoming parties, where you meet even more people. Read How to Make Small Talk with *Anyone*, 10 Rules of a Great Conversationalist and 10 Useful Tips To Make New Friends on how to schmooze your way through a sea of strangers. No matter what line you are in, public speaking is an essential skill which will help you grow personally and professionally. Being a leader requires you to do much public speaking. When you are interviewing for a new job, you have to be articulate and savvy in conveying your strengths which is a part of public speaking. At work, delivering great presentations involves knowing your audience’s needs and delivering your content in a way that meets their needs, something you learn through public speaking. Toastmasters is the place to learn how to be a better public speaker and communicator. A Toastmasters meeting is a learn-by-doing workshop in which participants hone their speaking skills in a no-pressure atmosphere. There are local Toastmasters clubs all around the world which you can find on the Toastmasters website (click on the location finder in the left sidebar). Last but not least, join networking events. This may not be ideal for those of you who want to get a life outside of work, but for coaches and online business owners who work at home most of the time, this is a perfect opportunity to mingle with others in the industry. I joined various networking events in the last quarter of 2012 and met hundreds of new people across different industries, in the process learning some new things and making new friends. Myself with 2 Vietnamese entrepreneur friends. I met them at an entrepreneur networking event, Startup Grind. These networking events are not limited to entrepreneurs too—you can go even if you work in corporate and it exposes you to people in other fields. An established business networking institute is BNI (Business Networking International) which has chapters all around the world. I’ve never attended the meetups but I heard it comprises of professionals in different industries meeting in an enclosed environment to pitch business opportunities to each other. Another established networking forum is Asia Professional Speakers – Singapore for speakers and trainers. Last but not least, Meetup.com itself has tons of networking groups you can check out. Ask Celes — How to Keep Calm and Make a Good Impression When Around New People?